Phenothiazine is an antipsychotic drug that is used in treating severe cases of emotional and mental conditions (psychotic disorders). Phenothiazine Overdose is the accidental or intentional intake of the drug in dosage higher than prescribed values. What are the Causes of Phenothiazine Overdose? What are the Signs and Symptoms of Phenothiazine Overdose? The signs and symptoms of Phenothiazine Overdose can vary from one individual to another. It may be mild in some and severe in others. Several systems of the body, such as the muscular system, digestive system, nervous system, vascular system, urinary system, skin and ENT may be affected. How is First Aid administered for Phenothiazine Overdose? Who should administer First Aid for Phenothiazine Overdose? 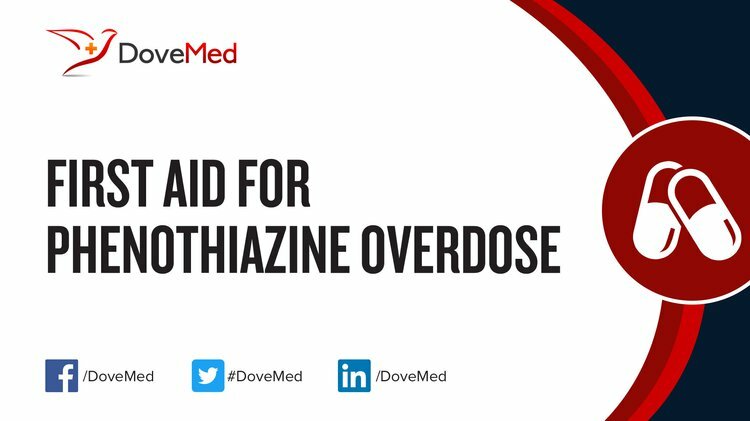 First aid for Phenothiazine Overdose is administered by healthcare professionals. What is the Prognosis of Phenothiazine Overdose? How can Phenothiazine Overdose be Prevented? Hyman, P. E., & Thapar, N. (2013). Chronic intestinal pseudo-obstruction. In Pediatric Neurogastroenterology (pp. 257-270). Humana Press. Algren, D. A., & Ashworth, A. (2015). Acute acepromazine overdose: clinical effects and toxicokinetic evaluation. Journal of Medical Toxicology, 11(1), 121-123. Miura, N., Saito, T., Taira, T., Umebachi, R., & Inokuchi, S. (2015). Risk factors for QT prolongation associated with acute psychotropic drug overdose. The American journal of emergency medicine, 33(2), 142-149. Bateman, D. N. (2012). Antipsychotic drugs. Medicine, 40(3), 105-106. Minns, A. B., & Clark, R. F. (2012). Toxicology and overdose of atypical antipsychotics. The Journal of emergency medicine, 43(5), 906-913. Droperidol, H. (2015). 3.64 PHENOTHIAZINES AND BUTYROPHENONES (antipsychotic agents). Toxicology Handbook. Thangadurai, S., Kannan, M. S., Dhanalakshmi, A., Guadie, A., Sen, S. K., Moges, G., ... & Grace, A. C. (2013). Thin layer chromatographic separation and identification of certain phenothiazines. Analytical Chemistry: An Indian Journal, 13(9), 332-336. Senthilkumaran, S., & Thirumalaikolandusubramanian, P. (2016). Approach to Acute Poisoning. In Clinical Pathways in Emergency Medicine (pp. 467-483). Springer India.